Small corporations are the leading forces in the development of new technologies, and patents are their most important assets. The role of patents in joint ventures, funding, marketing, and the strategic alliances that help small corporations grow and prosper is inestimable. 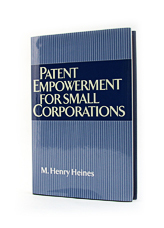 Heines’ book offers executives in small, rising corporations an in-depth, practical, useful comprehension of the patent system – the knowledge they need to understand, and work with, professional patent attorneys. With detailed examples and scenarios to illustrate legal principles, and with forms and advice to help develop a corporate patent strategy, the book provides critical information accessibly, in a comprehensible manner, and without dangerous, naive oversimplification. It will quickly prove useful to corporate decision makers and to academics teaching small business methods and management. Among the book’s special features are its focus on the perspective, interests, and special needs of small corporations, and its abundance of hypothetical technology scenarios, illustrating the legal principles that Heines dissects and analyzes. 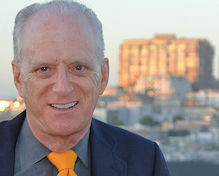 Another special feature is the balance it strikes between thoroughness and clarity: it gives a lot of information but in a way that non-attorneys can easily understand. The book explains and illustrates the principles of patent law and describes how to organize and implement an internal patent policy. It goes on to show how to accommodate patenting with ongoing research, how to maintain patent rights while working with outside vendors, how to distinguish between patenting and freedom-to-operate, and how to react and respond to the patents of competitors. Also addressed is the small corporation’s need to control costs, and ways to make patenting decisions in a manner that will provide maximum flexibility in deciding when and where to patent without relinquishing organizational control.